if you want to see what his stage show was like you can get a hold of the HBO special they put out a couple years before PeeWees Playhouse came out. I really miss that show, was a top favorite of mine as a child. Now I get to watch them with my own children who also love them. C'mon in, and pull yourself up a chair. LIKE CHAIRY!! I thought I read something once about Pee-wee doing the playhouse show again, but haven't seen anything on it in a long time. Wonder what happened? I would have totally watched that. 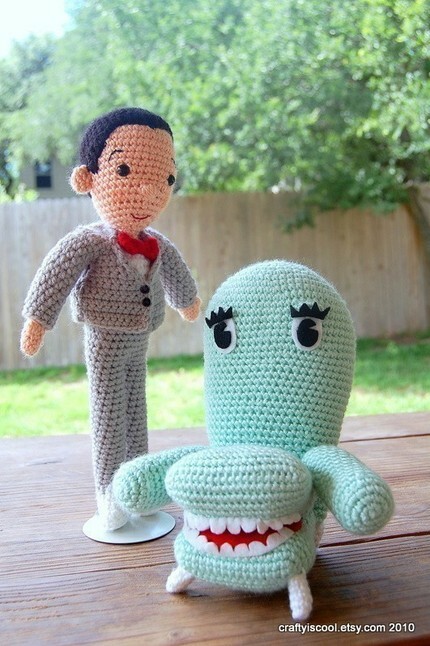 THIS makes me want to take up crocheting!! !